The pici are the most famous pasta dish in the Province of Siena. 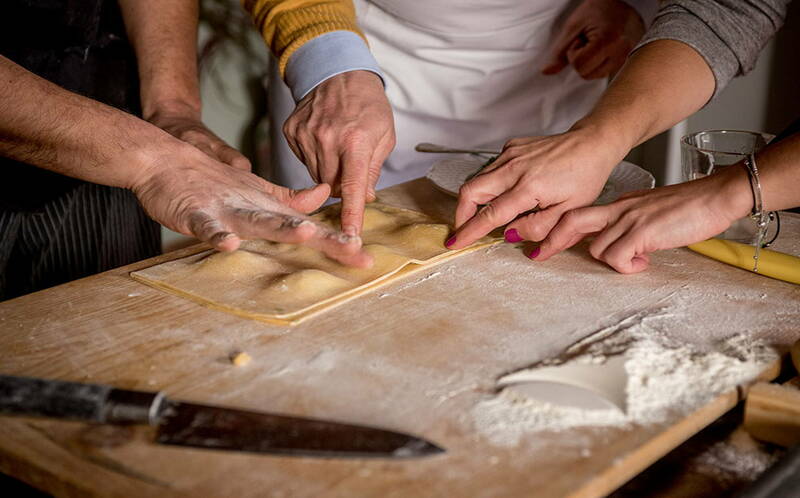 It is a type of pasta made by hand, thicker than normal spaghetti, which is made by rolling the dough and rubbing it with both hands; this gesture is precisely called, in the local dialect, “appiciare“. It is a peasant recipe, easy to make, which you can easily learn even if you are not much familiar with the practice of cooking. You will pleasantly learn to make not only pici, but also tagliatelle and tasty sauces for seasoning, such as meat ragout, aglione sauce, or cacio e pepe [“Cheese and Pepper”]. Reproducing these Tuscan recipes at home will be easy, and with the advice you will receive from our housewives, you will not go wrong; your performance will definitely be a big shot! 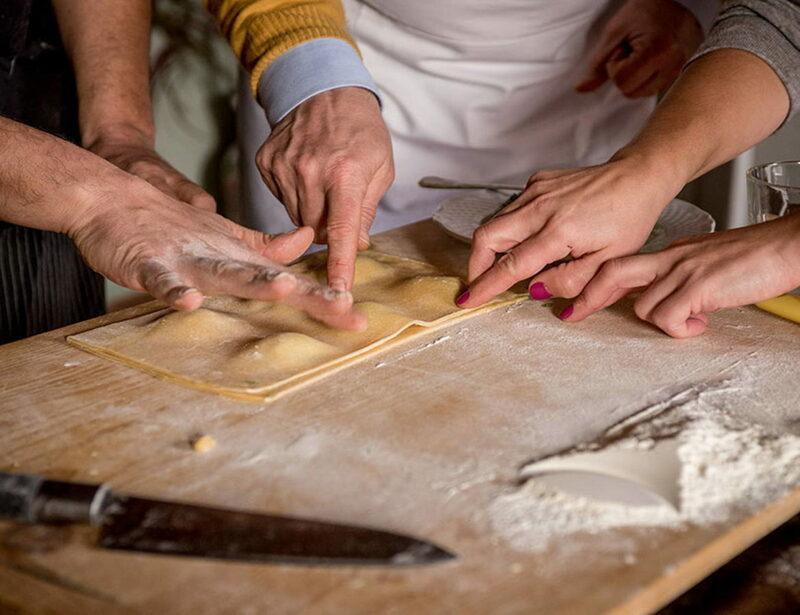 At the end of this cooking course on fresh pasta, you will enjoy the first courses, properly paired with a glass of wine. As a small present for you, the apron of the true Tuscan Chef.